Sydney, Australia, 5 July 2018 – Canon Australia is proud to announce the launch of a new retail experience concept, providing a unique Canon environment that caters to all levels of visual creative from beginner to enthusiast. Located in the heart of South Melbourne (95 Buckhurst St), Canon’s Experience Store offers people an opportunity to be inspired, learn and try the gamut of Canon products, services, events and content through an experience customised for them. “The result is a space that is welcoming to all, provides unrestricted access to our gear and encourages an exploration of photography, videography and print in a way that’s relevant to you as an individual,” continues McLean. Occupying 320 sqm, the Canon Experience Store offers an experience personalised to the visitor using their own images. This includes tailored demonstrations, consultations, lessons, safaris and guides to help people take their next step with confidence. Regularly refreshed, the Store will have image features that inspire and offer accessibility regardless of skill level. 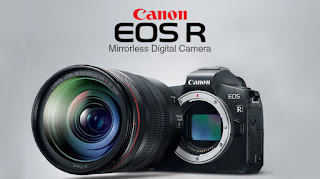 The store offers all Canon photography, video and print products from entry-level to professional, as well as related services including photoPICO wall art and photobooks,Irista cloud storage and Canon Collective events and workshops. Occupying the same site as the new SUNSTUDIOS Melbourne, the combined location provides a complete destination for visual creativity, extending from consumer level right through to professional studios, rental, sales, service and fine art printing. Canon’s new Experience Store is the ultimate expression of Canon Australia’s brand ambition, which has seen a constant and determined evolution from product wholesaler to experience facilitator, fuelling the people’s passion for imaging and helping them see what they can achieve with Canon’s complete product and service offering. Ground-breaking achievements from Canon’s Australian arm include the Canon Collective, an experience team that hosts consumer experiences, festivals, overseas tours and Light Awards Live competitions around the country. Canon Australia also hosts world-leading social media channels, and rich content channels focussed on celebrating the achievements of Canon users. A standout among these is the Tales By Light series launched on National Geographic Channel and now streaming globally on Netflix. In addition to SUNSTUDIOS, 95 Buckhurst Street is also the new home of Canon Group companies Harbour IT and Converga.